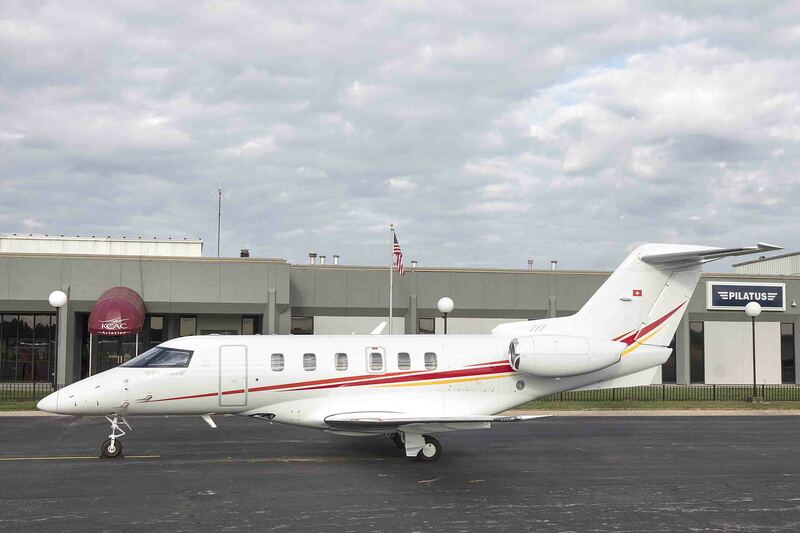 September 26, 2018 (Olathe, KS) – KCAC Aviation, an Authorized Pilatus Sales and Service Center, delivered the first Pilatus PC-24 Super Versatile Jet to a customer in the Midwest. In a ceremony at their facility in Olathe, Kansas, KCAC Aviation delivered PC-24 serial number 110 to a customer based in Illinois. It is the tenth production delivery of the newly certified Super Versatile Jet worldwide. Superior customer service has been a key part of the Pilatus service network’s achievement of 17 consecutive years of number-one ranked customer support, as rated by independent industry surveys. KCAC Aviation’s level of customer service has been an important element in achieving that ranking. KCAC Aviation pilot and maintenance personnel have been through type-specific training, and all special support tooling and spare parts for the PC-24 are already in inventory. KCAC Aviation was founded in 1966 and is a full-service business aviation partner providing charter, aircraft management, maintenance, parts, avionics, sales and service. They have been an Authorized Pilatus Sales and Service Center since 2000. KCAC’s sales territory for new Pilatus aircraft in the Midwestern United States includes Iowa, Illinois, Indiana, Kansas, Nebraska, Oklahoma, Minnesota, Missouri and Wisconsin. The company manages a growing fleet of charter and managed aircraft including four jets and seven Pilatus PC-12 aircraft.